I have this bad habit… When I encounter some kind of problem or disagreement, I immediately begin to mentally run through the reasons why I am right and everyone else is wrong. Then I continue to dwell on it – to further convince myself that yes, I am most definitely right! Categories: Forgiveness | Tags: blame, faith, fault, forgiveness, God, grief, trust | Permalink. 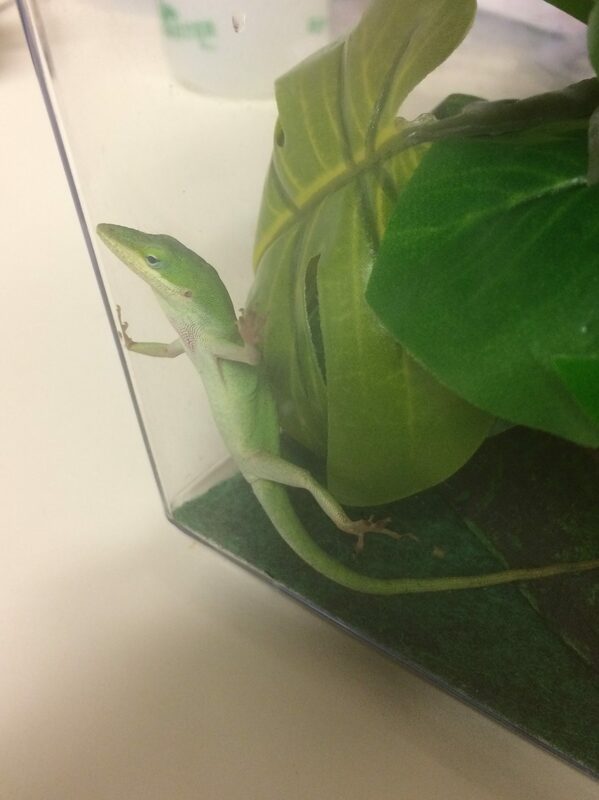 Meet the newest – and smallest – member of our household: Guacamole the Anole! The anole was a 3rd grade science project for my son early in the school year. One day he brings home a permission slip, and asks us to sign. The anole project was complete, and the 8 anoles currently residing in the 3rd grade classrooms needed a new home. If we sign this little slip of paper, our son could be entered into a drawing and have the chance to take home his very own lizard! My gut reaction was ‘NO!’ But my son’s patient pleas and soul-devouring deep brown eyes finally convinced us to sign the paper. It was okay – but I was still banking on slim odds that his name would actually get drawn. As it turns out, I am a pushover. Only 8 kids actually got their permissions slips signed – and we ended up with a lizard. Categories: Forgiveness | Tags: anole, broken, forgiveness, God, kids, lizard, new, old, school, trust | Permalink. Categories: Serving Others | Tags: cross, forgiveness, God, homess, hope, kids, service, theology | Permalink. This past Wednesday, my 9-year-old and I quickly walked up the stairs at church. Late as usual, we were rushing between faith formation hour and worship. I could hear the music begin to play, when my son stopped me. He looked at me with those dark brown eyes, and I knew he was fighting back tears. He began to tell me about what had happened with another child in his class. Categories: Forgiveness | Tags: church, faith, forgiveness, God, kids, lessons, trust | Permalink. Categories: Forgiveness | Tags: Ash Wednesday, faith, forgiveness, God, human, Lent, salvation, trust | Permalink. Categories: Forgiveness | Tags: bitter, blessings, Christmas, faith, forgiveness, gifts, God, love, sweet, taste, trust | Permalink.